Many teachers use Facebook, Twitter, blogs, QR codes, and other technologies in class. We also know that many teachers use Pinterest to share teaching materials, classroom ideas and activities. 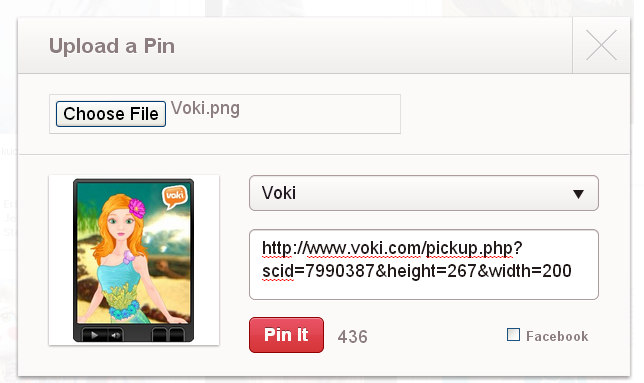 Continue reading to find out how you can pin your Voki! Create and publish your Voki. Click the Print Screen button on your keyboard. Open Paint and paste the screen shot. Crop your Voki. Then save. 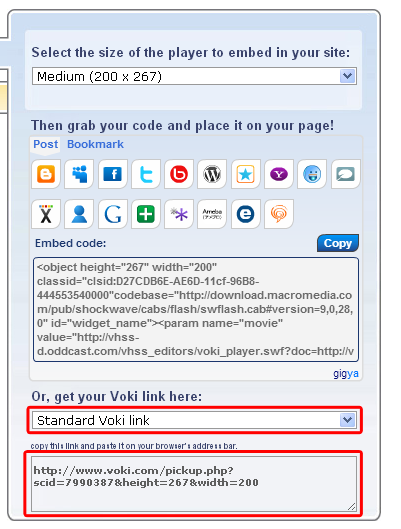 Return to your published Voki and select Standard Voki link to get the URL. Highlight and copy the URL. 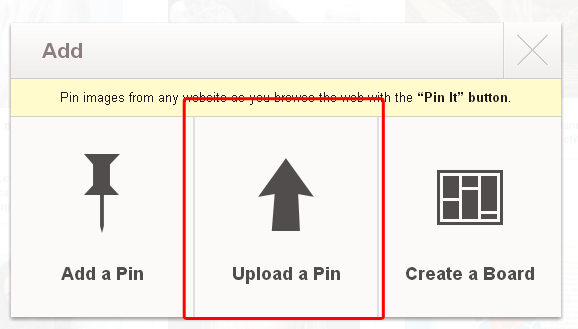 Log into your Pinterest account. Find your Voki picture and upload. 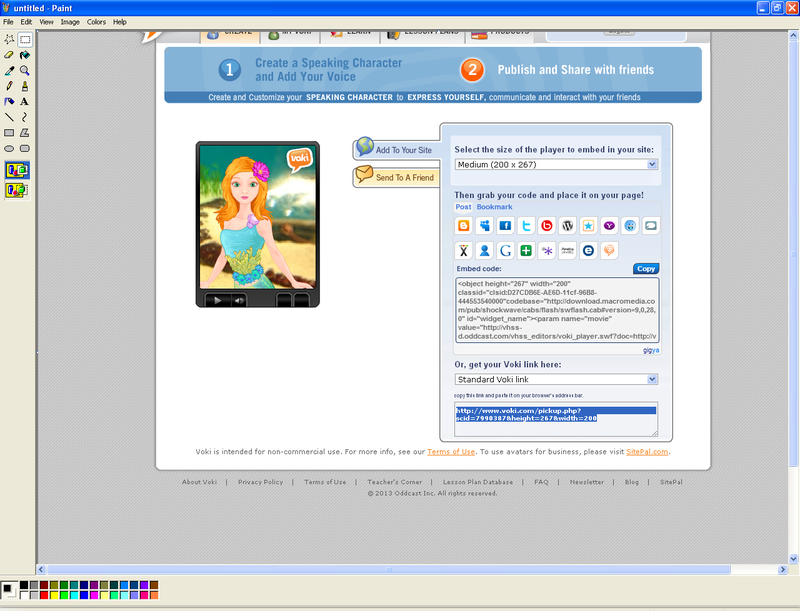 Paste your Voki link into the description box. If you have any feedback, comments, or questions, send an email to feedback@voki.com! Voki Classroom Summer Specials are BACK!